. 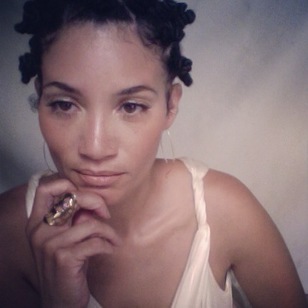 : A Message from the Creator of A U S E T Healing Beauty Rituals : . "I know women who's lives are so busy taking care of others they barely get a chance to eat. ​It's time for women to take care of themselves and shine! I've always been fascinated with superwomen and goddesses. After all, the women in my family are extraordinary. My mother a multi-genius and legendary teacher of those who would be notable in the world. My grandmother a stay-at-home mother was an entrepreneur of renown. I grew up with powerful women. One thing I noticed about them all were their beauty rituals. I was spellbound by my beautiful grandmother's fascinating rituals. At eight years old, my Saturday's were spent at my stepfather's beauty salon with my mother immersed in the community of women, their stories and their weekly beauty ritual. It was then that I said I wanted to be part of this world of beauty. painted thousands of faces while a hundred plus of them are some of the planet's most beautiful, powerful and talented people. I've combined my commitments, passions to introduce a new industry and category of product. Food that enhances your beauty and non-toxic beauty products pristine enough to eat. The idea of makeup is an out-dated notion because women have nothing to make up for. ​We've given birth to leaders and built empires. ​We deserve beauty rituals without apology but with the power to exalt and bond women. When the women and girls thrive, everyone and everything on the planet thrives. It's always time for us to shine. 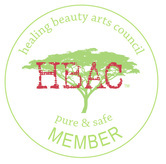 Take care of yourself with one healing beauty ritual everyday. Start here and create your beauty ritual.